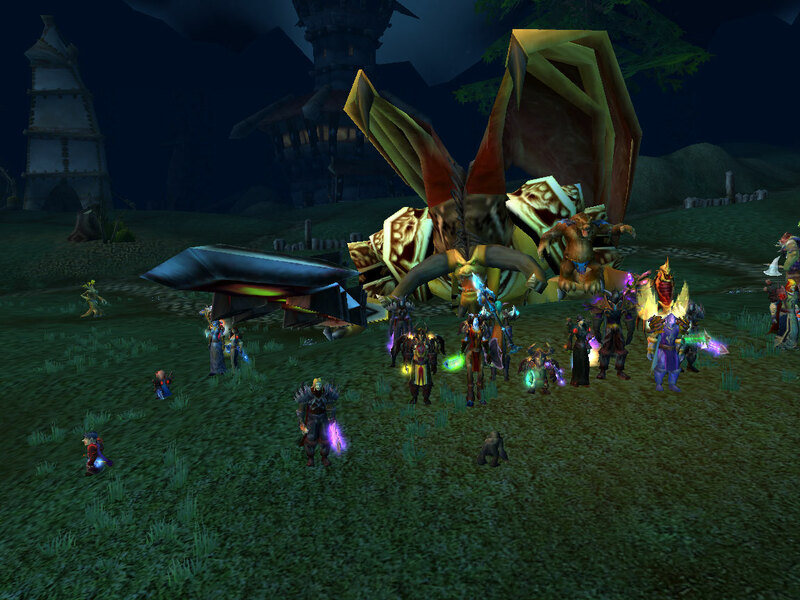 Tonight we downed our first T6 boss: Azgalor! The trash was harder tbh. This puts us at 4/5 Hyjal and 3/9 BT. We'll be aiming for Archimonde attempts next week. With Kael'thas down tonight, I'd like to introduce the world to SoE 2.0. This guild has been through a lot of hardships over the past two and a half years, but as always we have prevailed and made it out of a slump once again. Following our record-time progression through SSC and TK, we were hit hard by the new school year. Within the week that we downed Solarian and for a few after, we lost a total of 12 solid members (and a share of semi-active) that could no longer meet our raid schedule and were forced to quit the game. That was a huge blow to the guild, and at a terrible time. 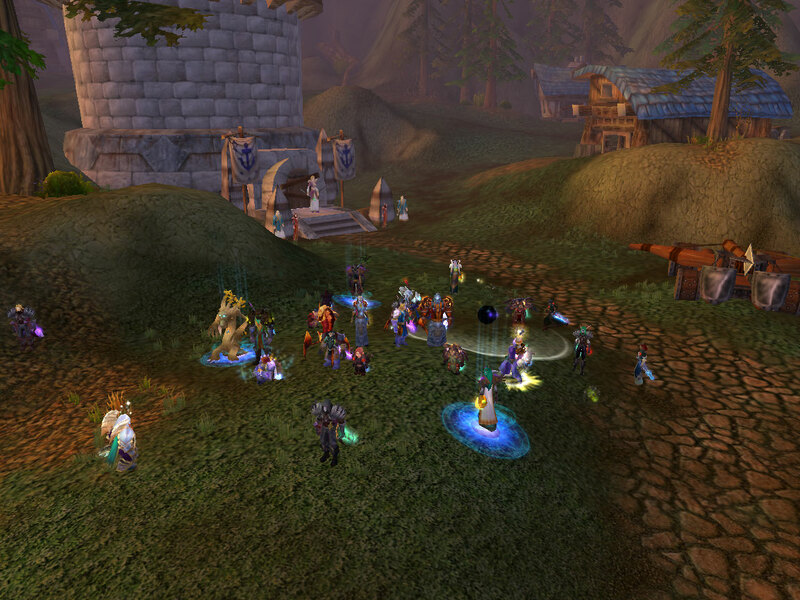 Kael'thas is well known for disbanding even the most stable of guilds. So we did what we always do... recruit recruit recruit. This time around however, we put more focus than ever on the future and not just the present. We were not looking for any "quick fix" to keep our farmed content on farm. Kael'thas remained the number one objective the whole way through, even if we couldn't get attempts for over a month. The only way to achieve this was a complete makeover of the way our guild is run. * We put aside most app requirements and sought players who had the willpower to work through the difficult times and the skill to earn their spot. We very much appreciate all the support we've had from anyone who apped and put in their time and effort. * We reduced our schedule from our old rocky 5 nights to only 3 in order to achieve a more solid raiding core with players that we could depend on each night. Kael never would have died with our old raid shuffle. * We increased the player skill requirements for raid slots. We may have been too casual in the past about slacking, but now we expect certain things from all our members. Progressing means understanding mistakes and correcting them as you move forward. Farming is using the same sequence to repeat the kill over and over. We won't let a few unqualified individuals slip through the cracks and hold back the whole raid anymore. * We have more evenly distributed responsibilities since there was too much resting on the top officers. Congratulations to Eokon, Ailas, Dohc, and Aevista on their promotions to Tank Class Leader, Healer Class Leader, Hunter Class Leader, and Warlock Class Leader respectively. Other necessary positions are already covered by primary officers. Class leaders will also assist in all other decision-making. * Recruitment has been improved with the addition of class leaders, whose jobs are to manage any class-specific tasks in raids, to ensure that their members understand their role on any fight, and to push certain levels of player quality. * While we were recruiting, we also did plenty of kicking. We dropped a number of players whose attitudes and personalities were conflicting with the goals of the guild. We want all players to enjoy the experience of raiding with us.